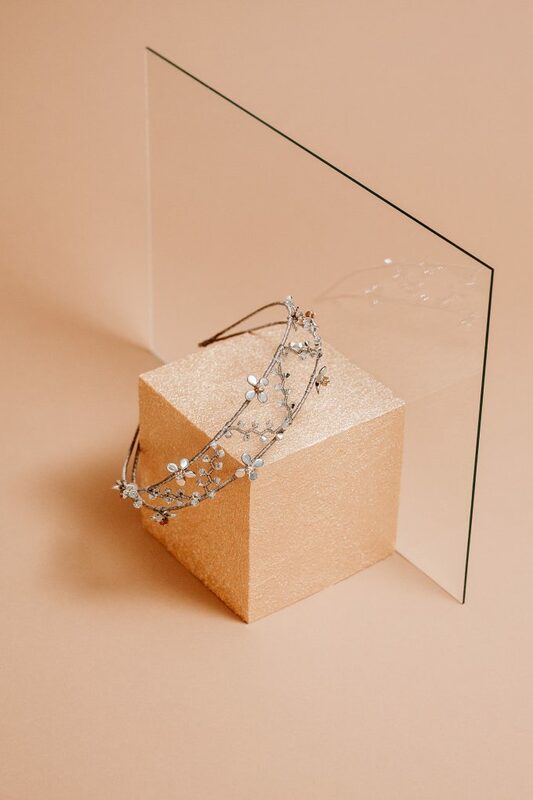 When lilacs rest in silver moonlight..
Silver lilac glass flowers beautifully crossed by Swarovki bead branches turn into a dazzling headband. Sparkle your nights with shimmering light. This piece can be also ordered in antique gold, black, electric blue, white or rose.